Ticket Giveaway Bundle: Skrillex & Gramatik! | True Endeavors Presents: music, tours, tickets, mp3 downloads, concert pictures, videos, Madison WI. Ticket Giveaway Bundle: Skrillex & Gramatik! Hip hop and dub step fans, listen up, because we have a great ticket giveaway underway that’s right up your alley. 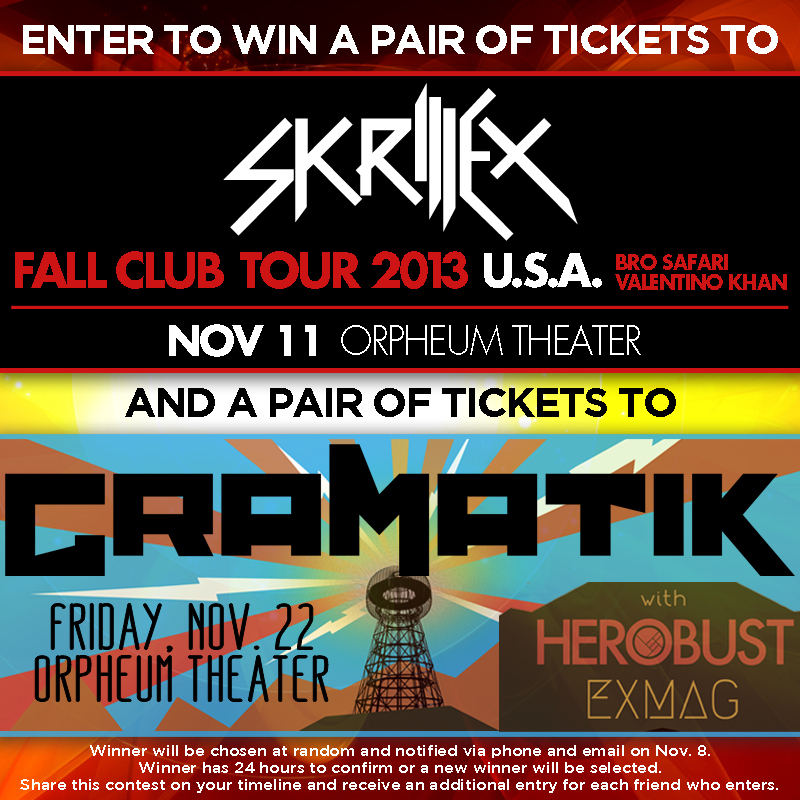 Click here to enter to win a pair of tickets to see both Skrillex (November 11) and Gramatik (November 22) at the Orpheum! You have until Friday, November 8 to enter. Good luck!